Please see below research I undertook to locate oil & gas locations during the 90's up to 1998 when I then started further research into oil & gas doing remote viewing in Columbia and I was able to pick up oil & gas in the Gigante fields/structure. 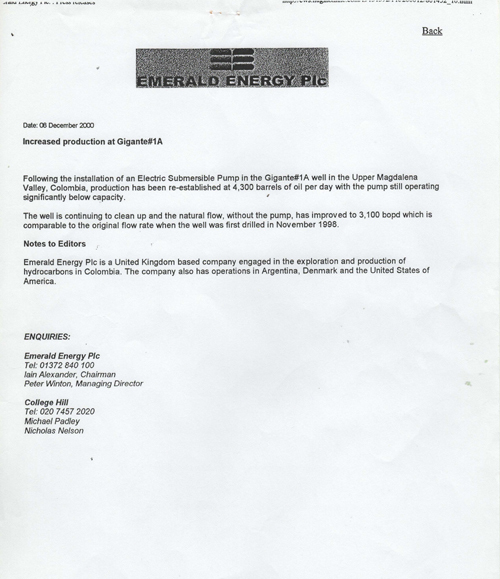 The company in question was Emerald Energie. You will see from their letter I am talking about locating potential oil & gas within the structure of the Gigante field in October 1998. The Gigante field was struck in November 1998 which means I was right. 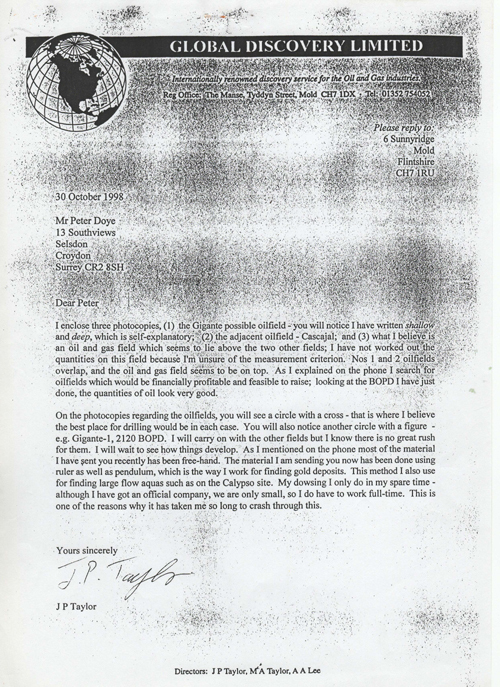 Reference: Mr. Peter Taylor: Remote Surveying for Oil & Gas – Papua New Guinea. Mr. Peter Taylor has accurately provided onshore & offshore locations for both Seismic & Exploration Operations for the eventual production of Oil & Gas, for the Southern part of Papua New Guinea. He also advanced, the depths, quantities & individual qualities of these products to be found at each location using an ancient skill called Remote Surveying. Our Geologists have found his information particularly helpful when cross referenced to known sites in the area and during the initial planning stages of our exploratory operations. I have no hesitation in recommending Peter to other Oil, Gas & Mineral companies about to startup in remote locations, his accurate & uncanny insight is a real boon. I wish you all the best with all your future endeavors Peter, it has been a pleasure to work with you and an amazing experience.